This was the first Sketch Challenge I've participated in and I loved it! 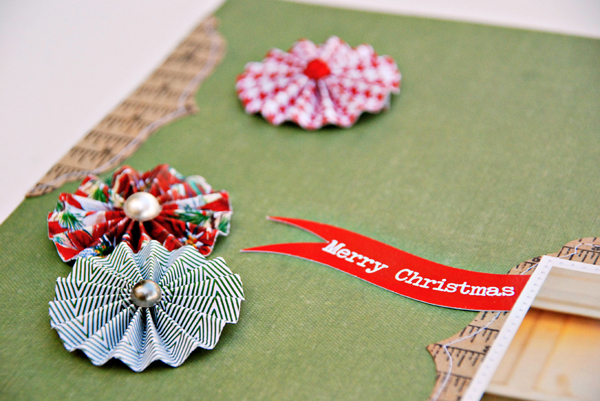 I really liked the bracket shapes and was thrilled to have a similar die cut to use for that. 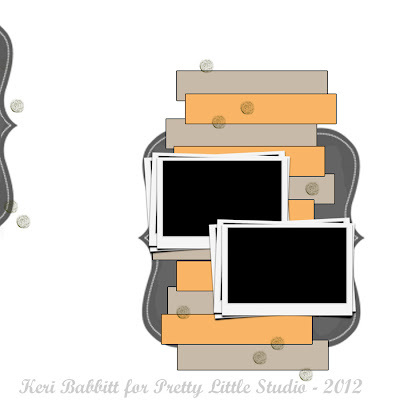 Right now I'm obsessing over rosettes so I decided to make several to put in place of the dots on the sketch. 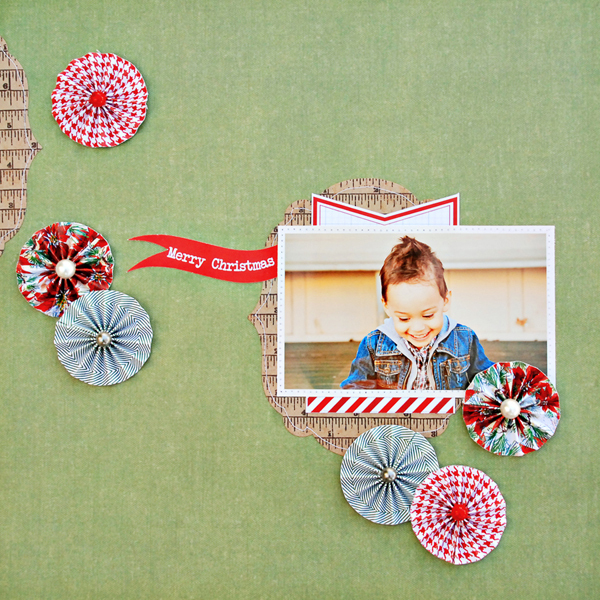 I used papers from the Christmas at HOME collection and embellished with pearl stickers. Instead of strips behind the photograph I matted my photo with a journaling tag. I finished the page by titling it with a Christmas castle banner flag. I hope you like it! 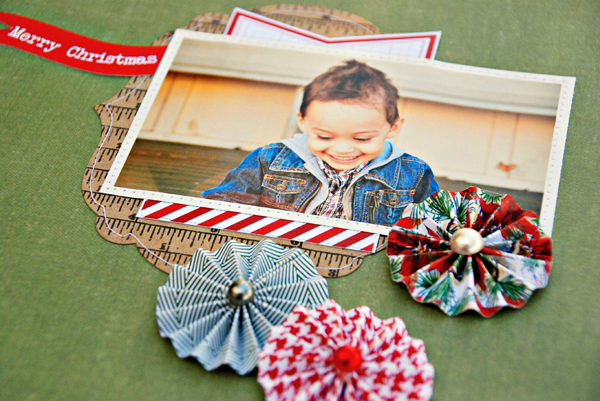 Be sure to go here to post a link to your layout/card/project to be entered to win a $10 coupon to Pretty Little Studio! LOVE IT!!! I have never done one of these kind of challenges either but I am inspired to try!